On Sunday, one of the world’s most famous and successful Instagram accounts, @WatchAnish, announced via a posting on Facebook that it was acquiring WATCH THIS magazine. 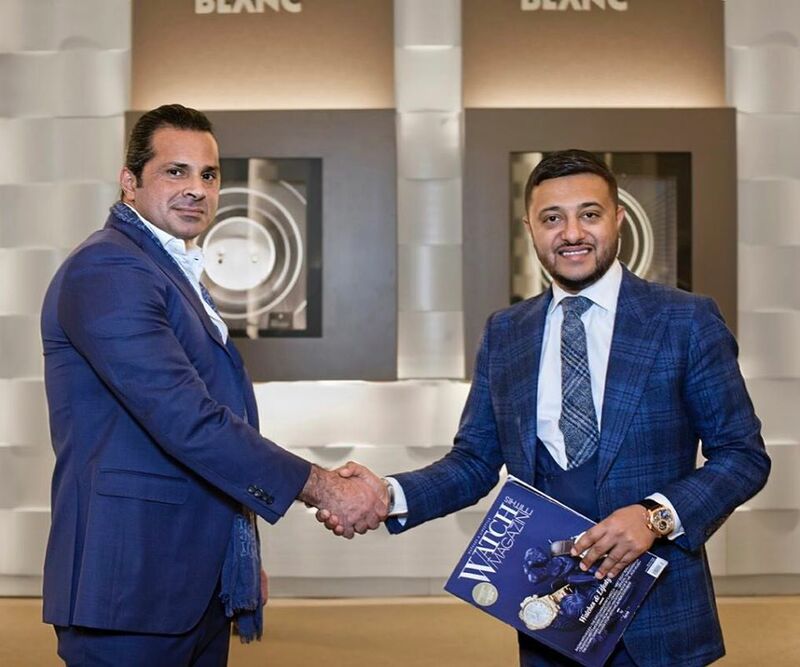 The print publication which displays both English and Swedish on its website, does not look like it had a significant social media presence, and will be re-branded as WATCHANISH Magazine, set to be launched at the upcoming BaselWorld 2017 trade event in Switzerland. Why would an Instagram account with more than 1.7 million followers, widely known outside of the social network and in the popular mainstream, pigeon-hole itself into print media, which surely has significantly less readership (there’s no way it’ll have 1.7 million printed copies) and is facing, as an industry, dwindling ad revenues? Even the New York Times revealed recently that its ad revenues fell 16 percent in 2016, and the NYT is one of the more (most?) successful print dailies in the business. The prospects for the glossy magazines surely can’t be better. Now, I need to establish from the start that I’m an admirer of WatchAnish. Its success, via its visuals, arose because it disrupted the space of “beautiful images” — a realm that should have been dominated by magazines with their photo spreads but social media caught traditional media by surprise. Whilst print magazines and its various vendors like modelling agencies and photographers were grappling with archaic notions of loading fees, length of exposure (limited), Instagrammers with their self-produced content moved in on that space. It wasn’t just the watch (trade) publications, but fashion titles too faltered at the start with this. With their pants down. Caveat: In terms of the one-photo medium. To a certain extent. I would argue that Facebook is just as important if not more for digital publishers, especially with link shares (Seriously, nobody clicks on the “link on my profile” workaround that Instagram accounts use on their posts because the social network does not support hot links (read: clickable links to external websites)) as well as a user base that actually reads. But this is a topic for another day. Back to WatchAnish. 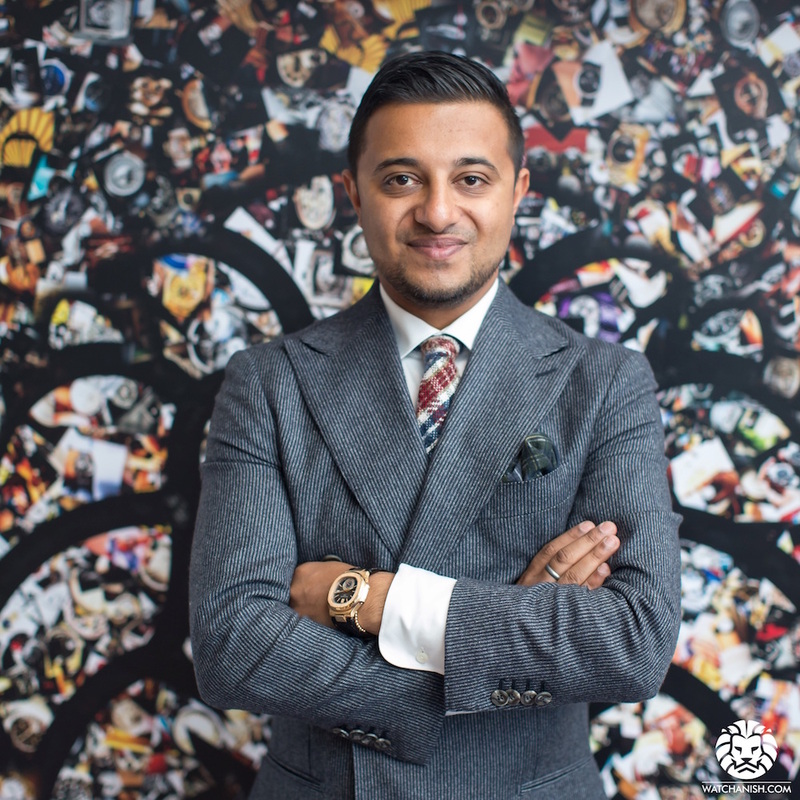 I love their photos, and when I met founder Anish Bhatt briefly at a Vacheron Constantin event in Singapore, I thought he was a very humble, soft-spoken guy, a surprise given the photos that his account (including his collaborators) posts were often loud, over-the-top with watch placements alongside a larger-than-life luxurious existence. That said, the sartorially-styled photo pieces I particularly loved, especially those by a certain James Cole. #LOVE #LOVELOVE Cole’s work (James, if you’re reading this, add me on Facebook, I can’t find you). Why would New Media buy Old Media? Well, it isn’t something new. Chris Hughes, a co-founder of Facebook had dabbled into a grand experiment acquiring The New Republic and so has Jeff Bezos of Amazon buying The Washington Post. But these are millionaires with either an expensive hobby or hitherto long term strategy that is unclear at the moment. So these are un-related equivalences. Who’d want to be known as an Instagrammer? Isn’t it cooler to be a publisher of a print magazine? Read this story about Vogue editors mocking bloggers here. I kid, but this comment cuts deeper than that. As a social media persona (WatchAnish collectively), it has faced an uphill struggle alike the rest of us digital publishers (I run SENATUS.NET, a website) with advertisers and brands that we ideally would like to get revenues from, as they seemingly move towards digital. But that shift away from print hasn’t happened fast enough. Why? That’s because the mindset changes at the conglomerates, independent brands, as well as the retailer/distributor networks for luxury brands (including watches) have not moved with the times, even as they’re likely to read this critique online, than if it was seen on a printed material. The senior management of brands have this old-school outdated thinking that attributes a higher value on a one-page article found on page 62 of a printed magazine with 10,000 total print circulation over 1. one single Facebook or Instagram post that has 10,000 likes, or 2. a web page that has 10,000 actual pageviews. Are you kidding me? An obscurely-placed, random page in a magazine with a ceiling of 10,000 printed copies, has a higher media value than a website article that actually received 10,000 reads? Is the readership irrelevant? How can it be? Who do you think is reading an article about grand complications, tourbillons, perpetual calendar and what leather your strap is made out of at 2 am in the morning other than an avid watch consumer? Surely you must also know that a post on FB or IG that has 10,000 likes has had an even larger exposure to more users, in order to obtain a percentage of those as “likes”. Another complaint about the 10,000 pageviews a web page gets is that local markets have their hands tied (so only global HQ can pull the trigger on a digital ad buy), and they do not in effect, have the spending power to subsidise exposure for other markets (same family, but not friends, if you know what I mean) by investing/advertising on a website that has a global audience. So essentially, the buck still stops at the boss’ table. The boss at the very top, I mean. It is also rumoured that one luxury conglomerate has an internal media value calculation system that heavily favours print circulation, multiplying number of editorial pages by advertising cost per page, and other variables to come up with an inflated number that does not compare fairly against digital websites or social media accounts. What is cost of advertising per one web page/URL? That surely doesn’t make sense to equate apples with oranges. Not at all. So no matter how many events WatchAnish (Anish or his collaborators/team) are paid to attend, or however number of Instagram posts he is sponsored to do, even with his 1.7 million IG followers, it cannot be compared to the quantum some of the printed magazines are making. The way it works is some brands do annual buyouts (number of pages, back page cover, etc.) thus ensuring the cashflow is constant, and reliable — key to any business venture’s survival. That, and how print magazines were constantly leveraging on WatchAnish (presence, or content) to fulfil their advertisers request to make content more relevant. So instead of helping someone else make money, WA probably figured it should just do it itself. In reality, I am going to say it now…. Brands are Artificially-Ventilating Print Magazines to keep them alive. Keeping print magazines (who do not have a sustainable web presence) on a mechanical ventilator (ha! I also said ‘mechanical’), maintaining a zombie-like existence for an outmoded operating model in limbo between life and death (they make enough not to fold, but not enough to sustainably go on at the same overheads). In all, it paints a story of a patient induced into a coma because the spouse or parent (i.e. the brand) just doesn’t want to let go. So I totally understand why WatchAnish is becoming WATCHANISH Magazine. It’s where the money still is.